Our daughter Donna & Hannah Belle are swimming buddies! If you ever wanted a living teddy bear, you need to get acquainted with one of these guys/gals. Rainbow of colors comes from Rachael (AKC Blue Bonnet) and Abraham. Selah & Shiloh are sisters. Selah is a red smooth coat & Shiloh is a red wirehair. They are the daughters of Ellie & Starsky. Both parents have excellent pedigrees. 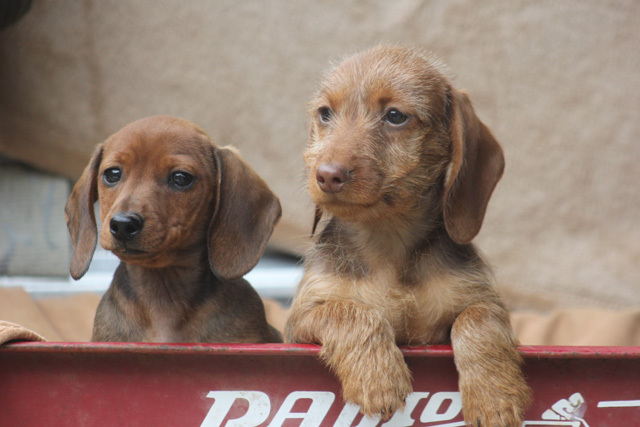 Selah is the typical smooth coat red Doxie and Shiloh is a gentle soul with the typical wirehair personality. On the left is a shaded cream and on the right is a ee cream. Shaded creams are born dark and their coat starts getting lighter at about 6 – 8 weeks old. They may have a little black whisping thru their ears and/or tail as an adult. The ee creams are born light. WELCOME TO LOUIE’S DACHSHUNDS! 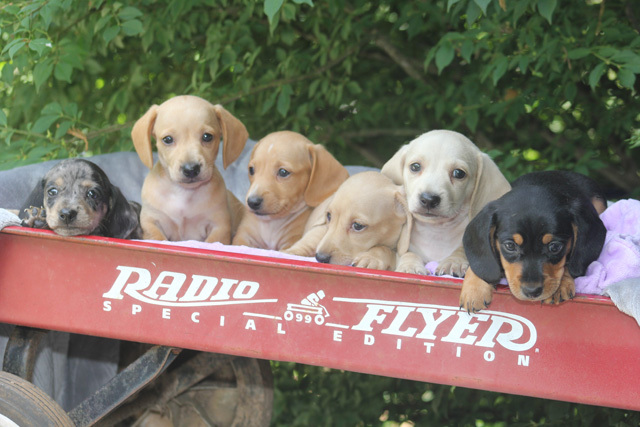 Andrews, N.C.
Our Dachshund Puppies are raised in Andrews, N.C. – sold and shipped to all 50 states. 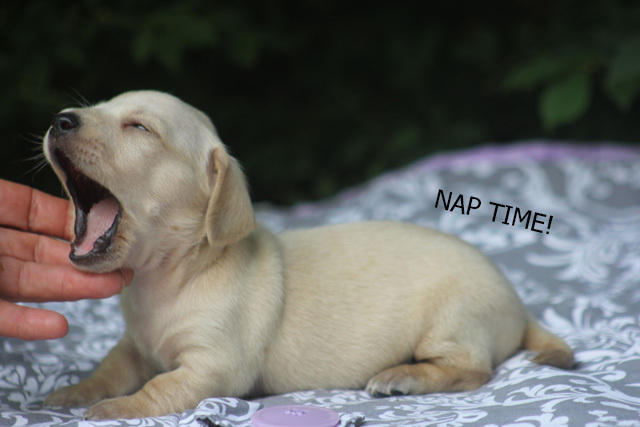 If you’re looking to find a Dachshund Puppy Breeder offering the finest of quality Dachshund Puppies for Sale, you are visiting the right place. 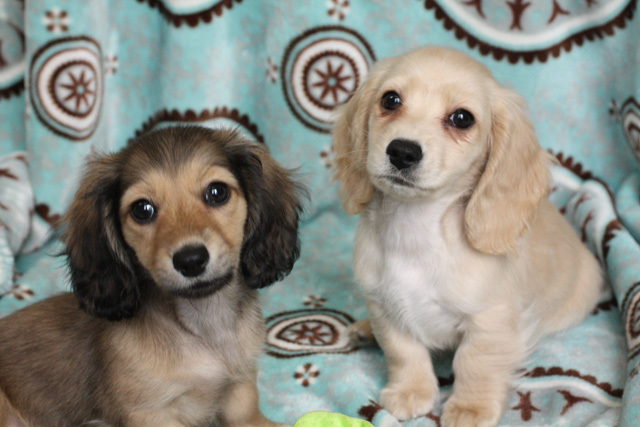 At Louie’s Dachshund Puppies, you will find a wide variety from Mini Dachshund Puppies to the ever popular English Cream Dachshund Puppies for Sale to the Wire Hair Dachshund Puppies for Sale. 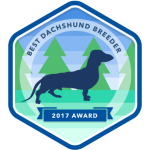 Louie’s Dachshunds is known for our excellence in breeding practices. This is proven through hundreds of satisfied customers who come to us to get their Wire Hair Dachshund Puppies, as well as the very popular English Cream Dachshund Puppies. 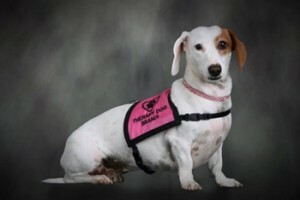 As a Dachshund Breeder, we have developed a well known expertise in producing beautiful, mild tempered Dachshund Puppies. 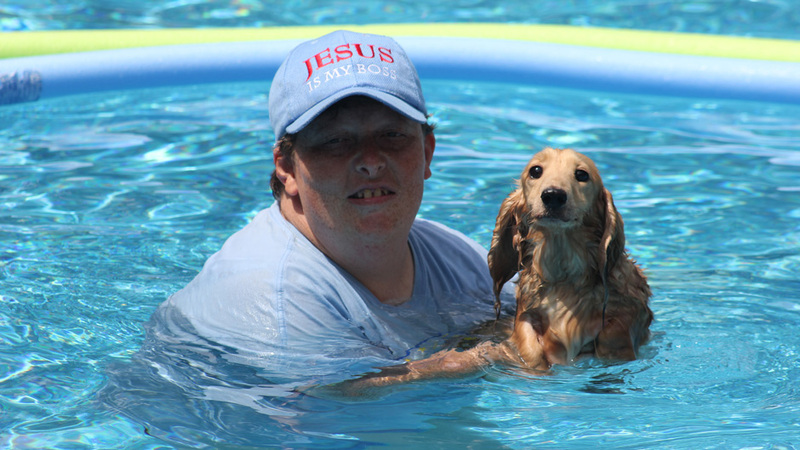 Our Dachshund Puppies for Sale have become cherished family pets for families from all over this area. Louie’s Dachshund Puppies for Sale in North Carolina also serves all other states. We are in driving distance from Georgia, Tennessee, Virginia, South Carolina, and some parts of Kentucky and Florida. If you live outside the driving range, we offer shipping services via United and Delta ( see shipping). Wire Hair Dachshund Puppies for Sale is a very popular choice. Wire Hair Dachshund Puppies make great companions and have the funniest personalities. We have truly fallen in love with the Wire Hair Dachshund Puppies.